We're sorry. A problem arose during the product configuration. Please try again later. The smartphone sleeve case made from faux leather forms the perfect protection from bumps and scratches for your phone. This smartphone case presents the perfect combination between protecting your phone and at the same time being able to keep its visual appeal. 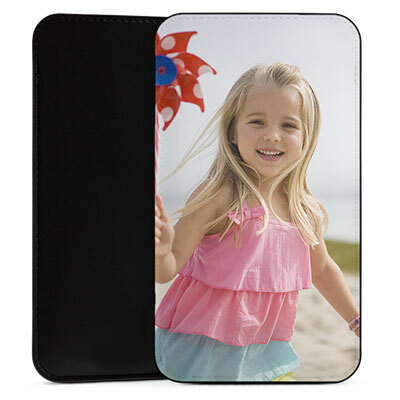 Make this high-quality sleeve case your own and personalise it with your favourite photo!